There are lots of useful Christmas presents that can be bought for couples or for single people setting up home for the first time. Below are a few that caught my eye and which I would love to receive. 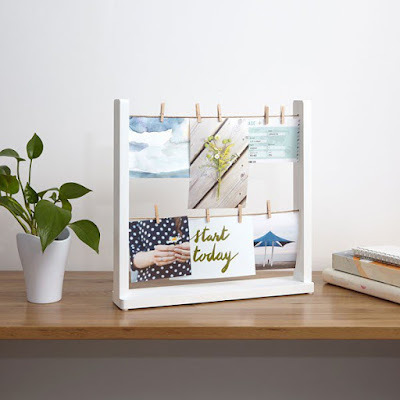 I just love the idea of the Umbra Hangit Desk Photo Display. 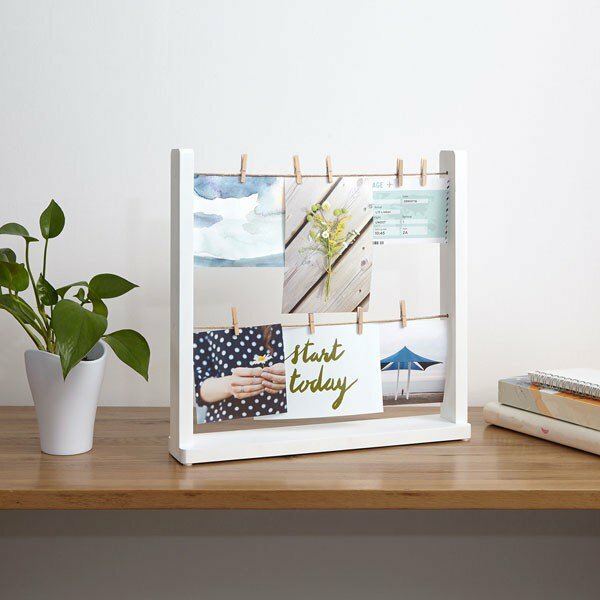 It comes complete with the white stand and two clothes lines and pegs to hang your favourite photos from, you can even hang reminders, appointments or children's drawings. Priced at £15 it is available from Red Candy. 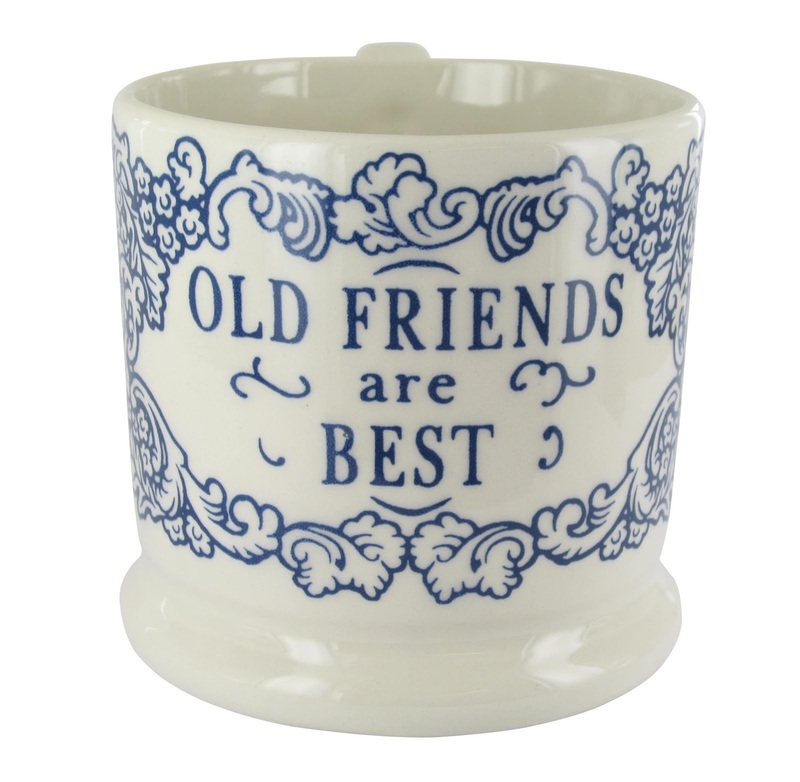 Doris & Co offer luxury handmade pottery ranging from half pint English creamwear mugs to kitchen ceramics. 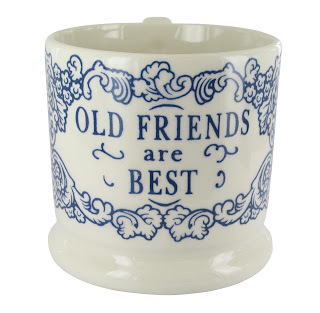 I just adore these mugs and I know the perfect recipients for them. 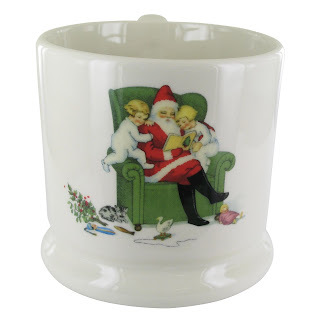 The Old Friends mug is decorated with a garland of forget-me-nots and oak leaves and the Vintage Christmas Mug depicts a 1930s Santa reading to two children. They are so beautifully made and priced at £19.95 each. 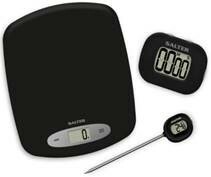 Perfect for the home and baker this lovely set from Salter comprises digital scales with LCD display, and instant read thermometer and a digital timer. No excuses for miserable fails in baking with this fabulous set and just right for the next Bake Off. Priced at £39.99 it is currently on offer for £24.99 at Salter. 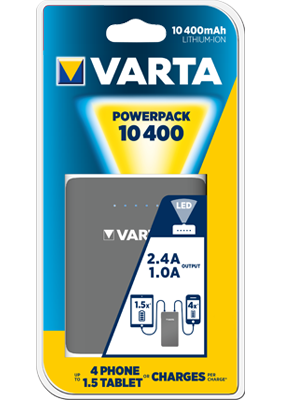 The perfect travel companion, never be without charge on your appliances with the Varta Family Powerpack, this is ideal for days out or weekends away when plug sockets are limited. This handy little device can charge up to 4 phones and 1.5 tablets giving them that much needed boost. It is available from Amazon and costs around £25. 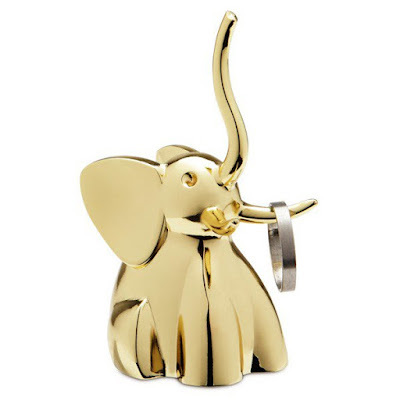 This small brass plate elephant ring holder is so cute and would look adorable on your dressing table or even on the kitchen window sill to store your rings whilst washing up. Priced at £8.90 it is available from Red Candy. Perfect for the little ones around the house the Thermos Funtainer would make an ideal stocking filler and is virtually unbreakable. It comes in a variety of designs including the floral one above and a football theme too. It has a non slip base, push button lid and a pop up straw. It is great for around the house or on days out. Priced at £17.99 it is available from Amazon and Thermos. The new Radio Alarm Clock from Oregon Scientific, is the ideal gift for those who love all things modern. 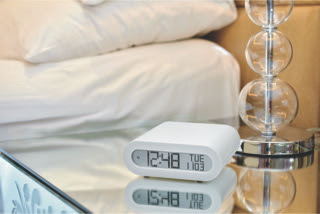 The alarm adds a touch of colour and style to any room being simple and easy to operate with a large backlight LCD display for easy viewing and is ideal for those of us who take a little longer to wake up in the morning. The nifty dual alarm function allows you to set two alarms on a single clock, one for you and one for your partner, and there’s even a snooze function built in, should you decide to have that all important extra five minutes. Best of all, you can also choose to wake up to your favourite news or music programmes, perfect for those weekend lie-ins. Priced at £25.99 it is available from Oregon. 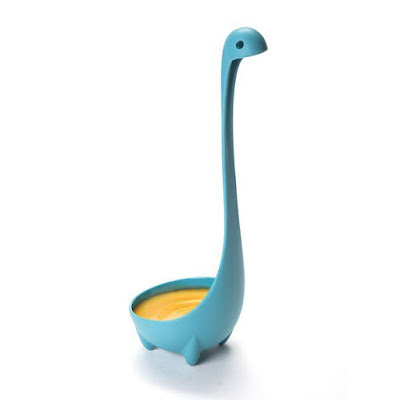 I just love quirky gifts and this Nessie Soup Ladle is perfect for serving your soup or stews. It makes a great talking point and is also available in a family with a colander and tea infuser. They are all available from Red Candy, the soup ladle costs £12.50. Well it really won't be long until we are festively decorating our houses. 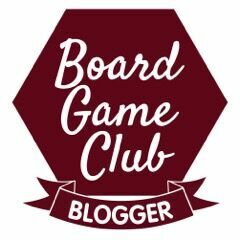 If you are interested you can also visit my guides for Women, Men and Children.